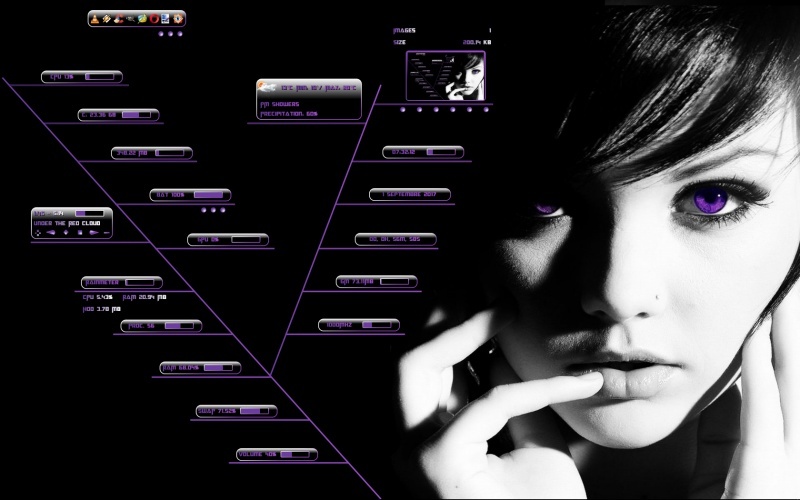 Violet Eyes(V1) by Sephirotess: violet theme :-). - Recycle Bin: shows size and number of files (tooltip). - SWAP: free SWAP (percentages & bar). Move the mouse over for more information.